Factory Finish 500/1500 Grit Siaair Breakpoint Shape You Decide! Finally, you get to decide with Radical The Fix! Is the core symmetric or asymmetric? YOU get to decide! The Fix features the groundbreaking Shapeshifter Sym/Asym Core. With the use of specific drilling layouts, you get to decide whether the core ends up a symmetric or an asymmetric. Never before has the bowler been given such power when it comes to ball reaction. Surrounding this unique core is the Fix Solid coverstock, finished at 500/1500 Grit Siaair. Paired with the Shapeshifter core, you'll either get a strong, smooth backend reaction with a symmetric drilling or an angular flip with an asymmetric drilling. 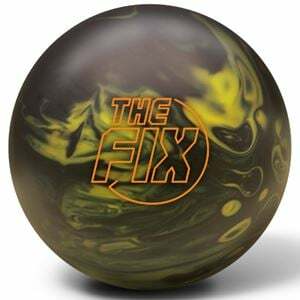 The Fix offers the option of maintaining standard symmetrical ball performance or shapeshifting into an asymmetrical ball for a more powerful ball motion. 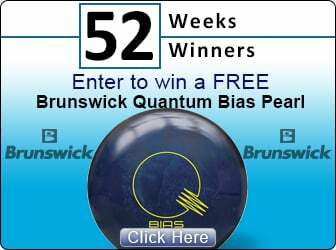 The detailed layouts provide simple instructions on how to manipulate the differential and intermediate differential in order to achieve the desired ball motion for all styles of bowlers.